If you have been following our blog, then you will probably know how much I am in love with the L'Oreal Paris Shine Caresse range. My rave post about Bella is proof enough for how much I adore it. Obviously, I had to pick up another colour. And last month I brought Faye with me back home! Have I got a fabulous thing to share with you! It's the new Comfy Fit range launched by Pretty Secrets, and yes we're loving it! Check out those eye-catching pop art coasters! So cool! Wow, 3 sentences, 3 exclamtion marks :P And here I thought I'd keep my excitement under cover and approach this review in a cool and professional manner. Eh, I guess that plan just went out of the window, no? Alrighty then! We really enjoyed our first experience with Pretty Secrets (you can read more on that here), and so when we saw they had launched a new collection, we were more than happy to try it out! All of you are acquainted with my love for Adidas deodorants. I've owned Natural Vitality (using the 4th bottle now! ), Happy Game, and Pure Lightness before, and I've sprayed on some borrowed Fruity Rhythm as well. I decided to pick up the floral variant for a change this time. 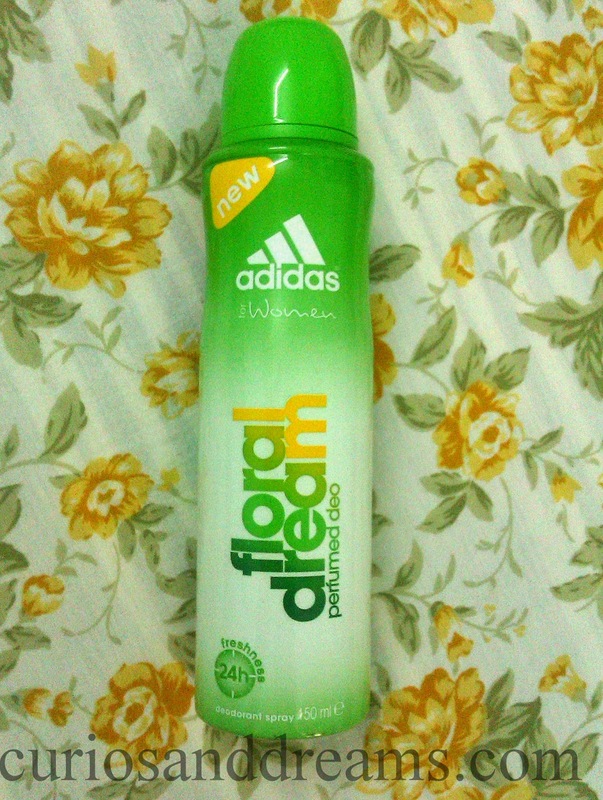 Now usually, I'm not a fan of floral based fragrances, but after this one from Adidas, I'm taking back my words! Hostel life wonks up your skin pretty bad, doesn't it? Ever since mine has started, my skin just won't behave! It goes dry, then oily, then flaky without warning. One day it'll be all clear and I'll marvel at the unexpectedness of it, but the very next day it says "Haha, just kidding Smriti!" and bam, a pimple pops up. 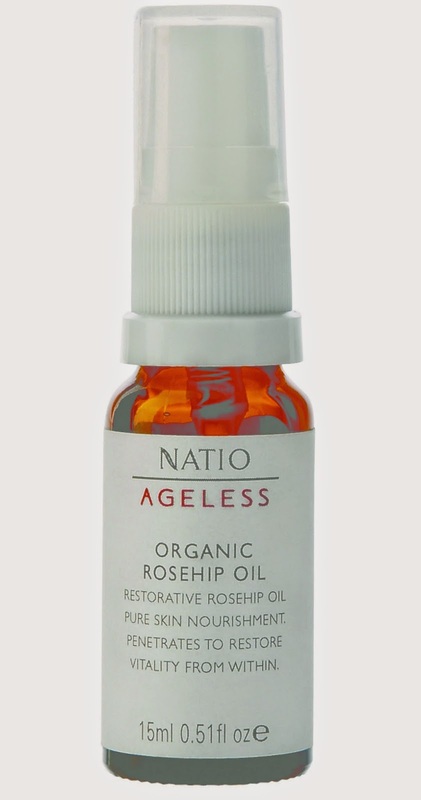 I'm struggling to come up with a regimen that will work according to the changing needs of my skin, and this is one product that I will give 5 stars to without further ado! "So, we are putting up something new...courtesy my friend Shravan. Who is one of the most fantastically awesome person I know. Crazy drummer, brilliant brains and in love with food forever, Shravan is THE person I bug when I want to know about someplace good to eat...coz he knows it all! The best places for every cuisine. And being the nice guy that he is, he has agreed to do this post for us. Hope it helps you too :)"
Based on my experiences in the past, I have learnt to become wary of the “multi-cuisine” restaurant. Logically, it would seem justified – such places undertake such a wide palate that essentially it should be impossible to do justice to it all. Of course, there are exceptions, and such lovely exceptions at that: Eden at Chennai springs to mind almost immediately. I discovered this little gem in 2009-10 and their food (a mixture of Continental and Indian) is basically like having a really cool mom who’s good at cooking a lot of different stuff – its all big on mplicity, flavor and love … and I adored it. But they are exceptions to what has otherwise been a widely consistent hypothesis. So when I was handed 2 menus at I&Monkey by the wait staff – one with Continental food and the other with Malayali food - I was quite perplexed. To their credit, both menus seemed focused – they did not run into a large number of pages (just a single placard for each actually) and it didn’t seem to want to rehash the “Summer of ’69″ of each cuisine (you know, the overplayed hits?…). The descriptions did suggest that a modicum of thought had indeed been put into most dishes. Quite unsure what to expect, I got the pumpkin and green chili risotto. The first bite and I was in love. What I’ve learnt about risotto is that the rice has to be the focus; the garnish has to be invisible but enhance the flavor of the background. And on a rare occasion such as this, that’s exactly what it was – a rich, creamy bowl of slowly cooked Italian rice with the teasing “is-it? isn’t it?” sweetness of the pumpkin and the subtle heat of invisible green chili, so invisible that I never got a stray piece or any concentrated spice hits. In short, it was like a warm hug. If I were to nitpick (and I will), there are just a couple of minor niggles I had with the dish. Firstly, I wish they would reduce the size of the parmesan that was used as the final garnish on the dish – they were sheets and when you took a bite with the cheese, it just overpowered everything else. And second, a few grains of rice – just a few, at the bottom, needed to be cooked a bit more: they were harder and more chewy than the rest – just a shade under perfect on consistency then. It would seem then, that is one more exception to the rule that’s come to join the party. If the rest of the menu is anywhere close to that risotto, what we have here is something special – a verdict reserved for when I probably go back there for a full meal for a more comprehensive review. But even if it isn’t, at least got there for that risotto – it’s worth it. 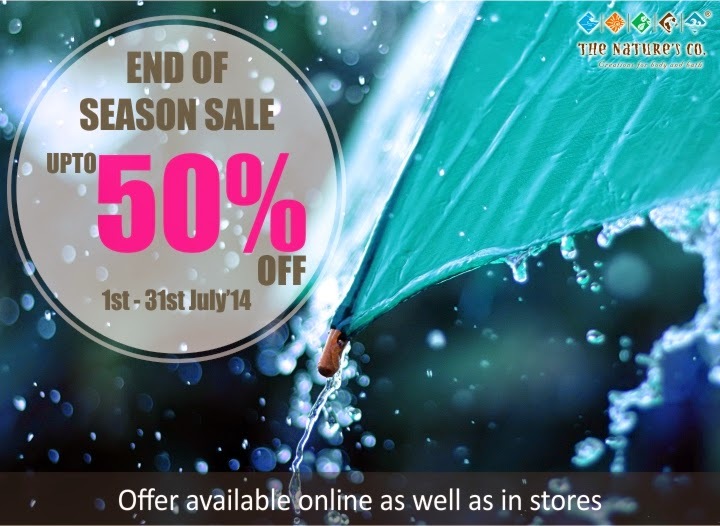 The wait is finally over and this July it’s raining discounts here at The Nature’s Co. as the much anticipated EOSS goes live for the entire month! 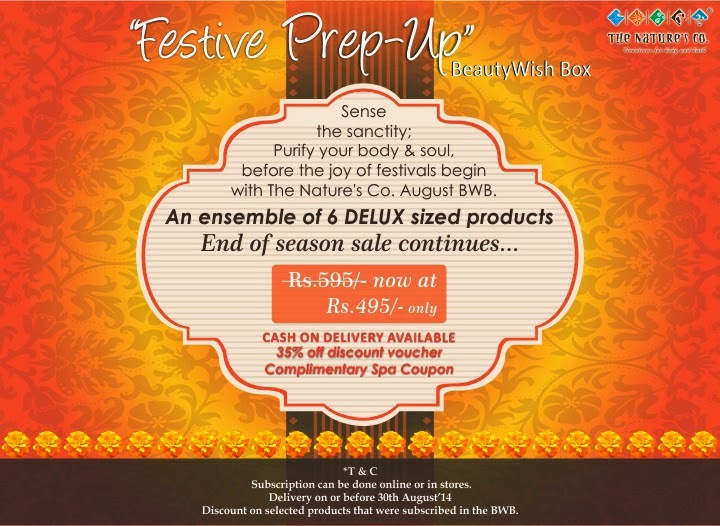 A mélange of natural beauty fantasies and pocket realities is what best describes The Nature’s Co. end of season sale. It’s during this time of the year you get ready to spruce up your beauty drawers, unleashing the beauty fanatic in you by reviving your dressing tables and closets, ticking out the products which have been on your beauty wishlists for forever now. The Nature’s Co. renders a chance to nab the best deals across a wide exotic range of body lotions, body butters, shampoos and creams, lip balms, bath salts, moisturizers, face wash, wellness products and more. Labels: press release, sale, The Nature's Co.